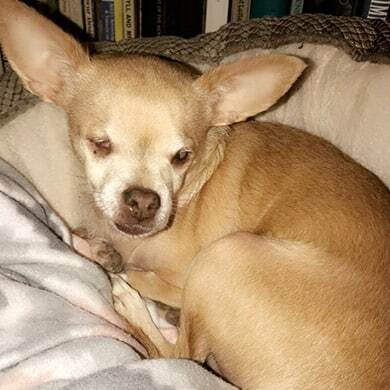 Cheyenne is a 14 year old blind Chihuahua. We rescued her from Franklin County. She is the only one that is allowed to put Brutus in his place. She loves everyone except our cat, Zeus.